March 28, 2015 - Like us now! PlanX hosted one-of-a-kind event by the name of Demo Day on March 26th, where startups and entrepreneurs from all over the country were invited to showcase their products. At the event, we saw a diverse range of startups varying in ideas and their execution: from dress designers’ portals to vehicle management services, and from car-pooling solutions to holiday planners were present at the Demo Day to attract potential customers and investors. 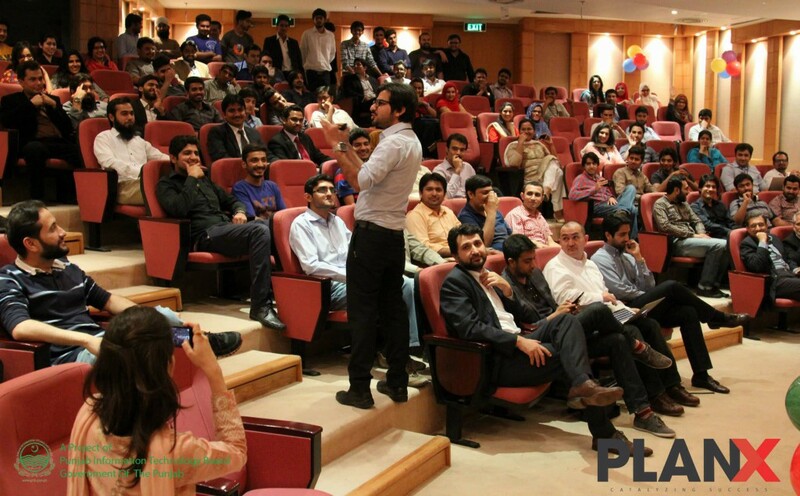 According to PlanX team, over 100 startups and 2000 guests attended Demo Day, making it a huge success. Attendees demonstrated interest in all event activities, especially the engaging speakers’ sessions. Noteworthy speakers included Mr. Burak Buyukdemir (co-founder & CEO of Etohum, Turkey), Mr. David McClure (founder, 500 Startups), Mr. Umair Jaliawala (trainer & activist), and Mr. Rahul Sood (founder of Microsoft Ventures). Some notable startups, on the other hand, which demoed at the event included Savaree, Travly, Vivid Technologies, Murammat.com, XGear, autogenie, and CentSol, among others. Nabeel also hinted about a government-backed VC fund – which has been making rounds in the local tech scene for the past few days – but refused to give more details about it as it will be properly announced once the dealings have been finalized.